DjangoFest Mill Valley 2013 June 14-15, 2013?? 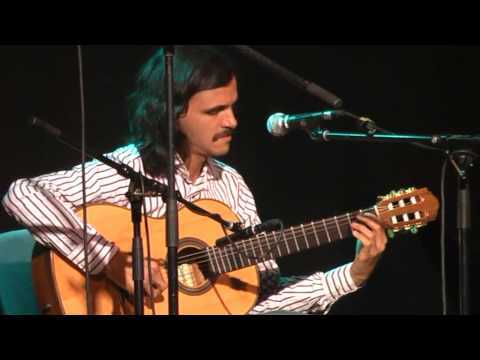 New, and not very accomplished gypsy jazz guitarist here, wondering if I should try to go to DjangoFest Mill Valley, June 15. I was hoping there would be more players, but the lineup is: Tcha Limberger along with the great John Jorgenson Quintet and the festival debut of Trio Dinicu. As I can only attend Sat. the concert lineup will be JJ and Tcha. There is a workshop with JJ on Sat., but I'm way too humble to attend, maybe next year. I saw the Gonzalo Bergara Quartet with the lovely Leah Zeger in Monterey a few months ago, and that was an inspiring show. BTW, GBQ will be in Walnut Creek in July. Has anybody attended the Marin Djangofest at the Throckmorton Theatre and is it a good venue? Does this lineup seem awesome enough? Any feedback will be appreciated. JJ and Tcha would definitely be worthwhile to see. JJ's workshop looks like it would be pretty good. I get alot out of lessons with my teacher when we analyze solos. I'm going on Saturday but IMHO the lineup is pretty thin compared to previous years. Same with the workshops. I liked JJ's workshop on the Django solos when I took it in 2004 but it's the same tunes (Minor Swing, Dinah, and Limehouse) and I'm assuming the same workshop. Still, it's the only gypsy jazz game in town and Mill Valley is a nice venue so I recommend coming out. Sometimes you get to hear some amazing players jamming outside or meet people that are on your level to play with. I have played the Mill Valley Djangofest a few times and have seen quite a few shows there. The venue is intimate, the town is friendly and fun. John Jorgensen is one of the worlds great guitar players and puts on a fine show. If you have never seen him live, don't miss it! 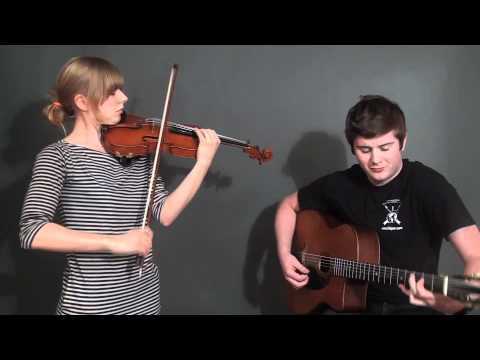 Tommy Davy is a young virtuoso guitarist whose performance should inspire any guitarist to practice more. I have never seen Tcha, but the Gypsy masters from Europe always have a flair in their playing that is worthwhile to experience. I have gigs of my own on both of those nights elsewhere in the Bay Area, otherwise, I would be up there. Enjoy! I will be going to Walnut Creek to see the Gonzalo Bergara Quartet in July, however. Confused as to how Tcha and JJ are not authentic. Sorry for the confusion, I hope the Marin DjangoFest does well this year. I would really love to see John Jorgenson on a Gitane or Telecaster. Not sure about the clarinet, as I'm not that fond of woodwinds. According to their Facebook page: "Trio Dinicu - Three rising stars combining traditional, jazz and classical to create a new sound", probably superb, but not what I'm looking for at Djangofest. Dennis wrote in a previous post: "As far as Tcha goes, he's a genius, but my understanding is that he'll be doing a solo repertoire that might necessarily be GJ... ". As a guitarist, I'm looking for tons of guitar, a little violin and voice, maybe a bit of accordion or woodwind, and most importantly, lots of Django. I live in Marin, and I won't be going to the Django fest this year even though it's less than 15 minutes from me. Unfortunately, the workshops are expensive and aren't very inspiring, since they're typically sparsely attended and most of the players who do show up are relative newbies to the style. Last year they got Robin Nolan, and the workshop only had about 5 players in it, most of whom were relatively new to the style. As for jamming in the town square, you may find 2 or 3 players out there but not much really. One cool thing about it is they always have about 5 or 6 Sel-Mac guitars on display that you can play... granted their all Gitanes, but it's nice to play a few different types for fun... And a few years ago they had the Gitane DG370 - Dorado Schmidt model on display, which sounds as good as a lot of higher end guitars. all in all, they need to work on their advertising if they want to get more players out there. It really is more for the listener.